Massimiliano Colombo was born in Bergamo, Northern Italy, in 1966 and currently lives in Como. For many years he has dedicated himself enthusiastically to his passion for the armies of the past. His experience as a paratrooper in the “Folgore Brigade” in 1988 toughened his temperament and increased his great interest for all the people serving their country throughout the changing seasons of history. In 1993, an exhibition displaying historical action figures led him to discover and develop his painting skills and allowed him to become part of the extraordinary world of history scholars. He then started to take part in international contests and to contribute to Italian and foreign history magazines. Beneath his every success lies deep historical research that unfolds new worlds to explore from time to time. In 2003, struck by a critical edition of Caesar’s De Bello Gallico, Massimiliano was pervaded by a strong inspiration and found the spur to write his own books. In 2005 he published his first book, “The Aquilifer” for New Authors of Milan. Piemme in 2009 acquires the rights and re-publish the book in 2010 as “The legion of immortals” followed in 2011 from “The purple banner” and “Draco, the shadow of the Emperor” in 2012. 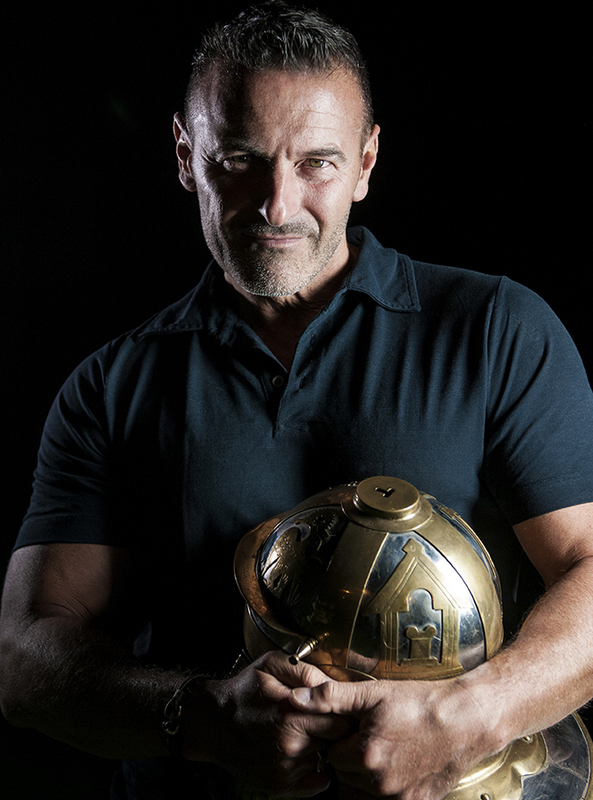 In 2013 Ediciones B, acquires the rights of his books for the Spanish language world market and in 2014, the public and critical success of “La legión de los inmortales” established him in Spain and South America as one of the most interesting voices of the historical novel in the European scene. In 2015 Ediciones B publish again for the Spanish market, “El estandarte púrpura” and “Draco, the shadow of the Emperor” and in 2016, the highly anticipated prequel of “The Legion of immortals”: “CENTURIO”.